If you are looking for the best option for your family’s house cleaning needs, look no further than our trusted Mosman cleaning service that has been rated 5-stars all across the web. Simply Maid is different from your traditional residential cleaning company. We aim to provide exceptional service with each and every clean. Our house cleaning team specialises in making your home sparkle so you can get on with your day. We clean up after all the pests in your life, from pet fur, house dust, dirt, and pet dander. This helps create a more welcome environment for you and your family as well as guests and visiting business partners. Our premium cleaning service will make you comfortable and proud of your home. So let’s talk about a way to make your life easier. Let’s talk about how we at Simply Maids with our residential cleaning services focus on removing all the little irritants and all the big messes that prevent you from enjoying your time at home. You want to be at the great beaches Mosman offers, or cycling with your family over our many bike paths, not digging out the cleaning supplies, getting down on your hands and knees, and polishing your knick-knacks. So let our domestic cleaning services help you get back out there! All our cleaners are fully background checked, are insured & bonded – Your home and family is safe with us! Fully transparent pricing – no surprises, no contracts, no agreements that you’re stuck with. Convenient online booking and payment – We understand that not everyone has time to pick up a phone to schedule a clean. This is why we aim to provide a seamless online booking experience. 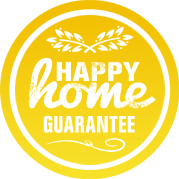 200% happiness guarantee - If you aren’t completely happy with your clean let us know and we’ll come back to sort it out for free! Safe & secure, fully encrypted payment for your security – Your trust and safety is paramount. Customer recommended! Check out our google reviews. book a mosman home service in just 60 seconds! Be it a quick spruce up before a get-together or a detailed cleaning of your house, all you need to do is reach out to us and consider the job done. We have many happy clients who vouch for our services. With 5 star ratings from all across the internet, we're sure, like all our customers, you too will consider us as the first, best, and only luxurious cleaning service you will ever need for a comfortable and healthy home environment. Not only do we service Mosman, we also specialise in servicing all it’s surrounding suburbs including Northbridge, Seaforth, Clontarf, Cremorne, Neutral Bay and Kurraba Point. Other suburbs we service around Sydney include: Bondi, Gladesville, Waterloo, Hurstville, Double Bay, Eastern Suburbs, Northern Beaches, and Chatswood. The great thing about our premium cleaning service is that we make it very easy to book online - In under 60 SECONDS, you can know that your cleaning needs will be met by our team of trusted cleaning professionals. Fortnightly, weekly, and monthly regular servicing is available for any and all homes in Mosman, NSW. Whether you have a house, duplex, apartment, or a single room that needs a good spruce up, we’re there for you! A suburb in the New South Wales in Australia, Mosman form a peninsula between the Sydney harbour and Middle harbour. As a result, it features many harbour beaches. A beautiful suburb, Mosman is peaceful and rejuvenating. Some of the beautiful beaches spotting it are Obelisk beach, Balmoral beach and Cobblers beach. A tired day after work is well spent on these beaches enjoying the visual delight offered by the nature’s views. Taronga zoo and Sydney harbour National Park offer delightful weekend activities. Surrounding suburbs include Northbridge, Seaforth, Clontarf, Cremorne, Neutral Bay and Kurraba Point. With a population of about 27,000, Mosman houses residents that are slightly older than the remaining country. The median age of residents of Mosman is 40 while 17% of the population is above the age of 65. Two thirds of the population lives in family households. Of the rest 32% are single person households and a meagre 3% are group households. The residents of Mosman engage actively in sports like football, rugby and cricket and enjoy activities like snorkeling, sailing and swimming. Apart from the natural scenic beauty, Mosman also offers multiple historical sight-seeing locations, galleries, museum and shopping. In a setting as beautiful as this, a neat and tidy home feels nothing less than enjoying a bit of paradise. But with so much to do, the idea of cleaning home can be daunting. If only cleaning house once in a few months could keep it sparkling and hygienic. 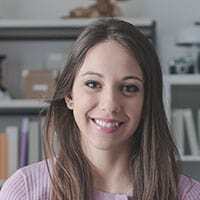 I have four children and they all participate in sports and art classes around town, so we have very little opportunity to do more than daily chores. About four months ago, I decided to hire Simply Maids for a fortnightly service to clean our home and we've never been happier. Each and every clean has been thorough and their cleaners were super polite. Simply Maid has allowed me to spend more time with my family and have been a welcome addition to our lives.